Medical weight loss can mean a lot of things. In Fort Worth, Texas, medical weight loss means a comprehensive approach to overcoming obesity, high body mass index and nutritional therapy, all under the supervision of a board certified doctor — Dr. Bagshahi. Dr. Bagshahi offers medical weight loss services to his patients, and he has created a pathway that allows patients to increase the intensity of treatment as they continue to overcome the challenges of losing weight. The process ranges from counseling to medication to surgery. The beginning steps include nutritional counseling that goes along with a medical weight loss diet. If needed, the doctor will prescribe medications to help with hunger issues. The approach involves physical, chemical, mechanical and psychological treatment so that patients in the Fort Worth, Texas, area have access to the tools with the best results. The pathway that Dr. Bagshahi uses helps address the issue of medical weight loss cost. Starting with nutritional counseling and addressing the psychological aspects of weight loss help Dr. Bagshahi provide cost effective treatment. By offering medication before surgery, Dr. Bagshahi provides another step before patients experience the cost of medical weight loss surgery. In addition, his practice provides insurance specialists and patient advocates who help deal with insurance. There are even financing options and affordable self-pay options too. So what is medical weight loss? For the folks in the Fort Worth, Texas, area, medical weight loss is a series of steps. Each step redefines the process of losing weight and gaining health. The real question is: Where in this process do you belong? A medical weight loss diet is a physician-managed approach to losing significant weight and keeping it off. You may be a candidate for medical weight loss if you have not been able to lose weight through regular means of diet and exercise. In general, a good candidate for medical weight loss has a Body Mass Index (BMI) of 30 or more. 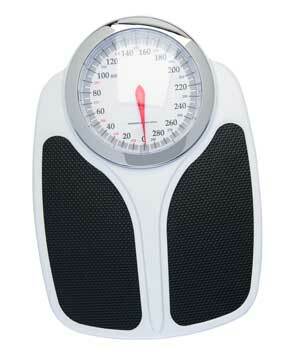 Your BMI is your weight in kilograms divided by meters squared. Don’t worry about doing the metric conversion because you can find plenty of quick calculators available online. For example, a man who is 5′ 9″ and weighs 200 pounds would have a BMI of nearly 30. But do not take such results at face value. Other factors come into play — weight from muscle versus fat — that determine your true BMI. A quick examination at our convenient Fort Worth practice will allow us to pinpoint your real BMI. Your BMI could be somewhat lower than 30, and yet you would still be a solid candidate if you are not feeling as good as you know you should. This could be related to other health issues that would improve significantly with even a little weight loss. Such health problems include cardiovascular disease, diabetes, knee and back pain, or other quality-of-life issues. Your ability to endure and recover from surgery depends a lot on your physical condition going into the procedure, which includes being significantly overweight. By dropping weight, not only could the duration of surgery be shortened, so could the length of your hospital stay. Because infection is one of the greatest dangers for post-operative patients, a speedy recovery can make a difference. You also may be a good candidate if you have already lost weight following surgery and want to keep it off. This is the most important requirement for being a medical weight loss candidate. Medical weight loss is not a magic pill, and it is not a fad diet. It requires serious work and commitment by you. You must have the ability and desire to follow a weight reduction plan outlined by our medical team at our Fort Worth office. You have to stick with it, and you must overcome inevitable frustrations. You must be able to stay optimistic when you take two steps forward followed by one step back. If you can do that, you are an excellent candidate for a medical weight loss program. Your medical weight loss cost would be much less than a surgical option. In some ways, however, it requires more, because the key to success it all up to you. To learn more, please contact us at our offices in Fort Worth. Patients can start their medical weight loss journey with nutritional counseling. By teaching people about proper nutrition, Dr. Bagshahi empowers them to make positive dietary changes. Weight loss is not just about losing weight, but also about gaining health. Good nutrition through a medical weight loss diet helps with both. Food is addicting, so to help people get over the cravings for food, Dr. Bagshahi might prescribe medication. Food contains a complex set of chemicals that affects the brain. The right medication can help satisfy the brain’s constant cravings for carbs, sugars and fats. The Bagshahi Bariatric and General Surgery center provides advanced care for people who are ready to shed the pounds, reduce obesity, lower their body mass index and improve health. The basic idea of these surgeries is to shrink the size of the stomach so the person feels full faster and the stomach sends those signals of fullness to the brain. That process alone can help people throughout the Fort Worth, Texas, area lose weight. When your brain thinks the stomach is full, it stops sending hunger signals. Those subconscious cravings disappear, and you eat less. For patients not interested in weight-loss surgery we offer supervised medical weight loss options. We employ modern medications being used for weight management along with nutritional counseling and monitoring. Medical weight loss is also a great option for post bariatric surgery patients that may be experiencing weight gain. It is important to work with a weight loss center in Fort Worth that understands these types of medications and tailors the right option for you.